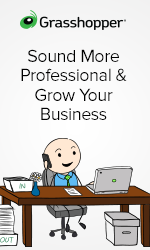 Get more clients with a sales funnel. 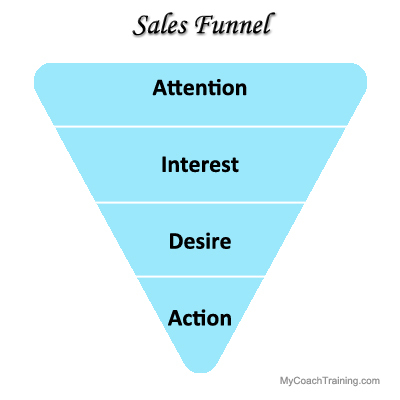 The sales funnel is a step by step sales process, i.e. your plan to sell a product or service. If you intend to market your services as a life coach, then understanding and using a sales funnel is a great place to start. The first step is to catch the attention of your target market – your ideal client or “Avatar.” Know who this person is: his or her likes, dislikes, age, habits, and especially needs. You must know what your Avatar NEEDS in order to provide a product or service that fulfills that need. But how to do this when they don’t know you and there is so much competition for such services? Answer: You have to stand out AND give them something immediately that brands you as the ONLY solution to their particular problem! To do this, come up with some free product, like a video, eBook, or informative blog that specifically provides an answer to a burning question or need that your Avatar, niche, or target market may have. Then publicize this giveaway far and wide! You can place these on your website or use free or inexpensive resources like YouTube and Google. Remember to always include a link back to your site if you post it elsewhere, then provide an Opt-In page that allows them to get on your list. You want to get the attention of your target market, then keep it as long as you can. Notice that I said “target market”. If you market yourself to everyone, you become a drop of water in an ocean of life coaches competing for attention. When you highlight your specific skills and expertise that addresses their particular need or problem, it becomes much easier to attract your ideal clients. For example, if I market myself as a “Life Coach,” what does that mean to most people? Once your prospect raises his or her hand by opting in, they’re in your sales funnel. Now you want to lead them through a step by step process that hopefully ends in a profitable sale. Each step should filter out the people who do not fit with your product or service and motivate your ideal clients to take action (make a purchase). You can filter your prospects by providing relevant information about what you do and do not offer as a life coach. At the same time, keep their interest by showing how your service can benefit them. Provide a range of products and packages that address the issue they opted in for. This means, for example, providing relationship-based info and products for those who opted in for a free report or video on how to improve a relationship. If you pull a bait-and-switch on them by promoting Internet marketing services instead, you will lose credibility and clients. Once prospects are on your list, send out weekly or monthly newsletter e-mails with testimonials, case studies, and information related to your services. Keep it fresh and sincere, so that people don’t get bored or feel like they’re getting junk mail. Coach trainer Joe Vitale says that when he writes his newsletters, he pretends he’s writing to a close friend. Every step of the sales funnel should allow folks to purchase your product or service. 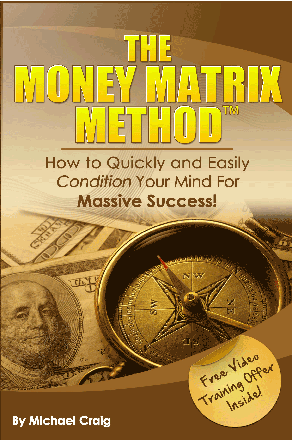 Naturally, you want to focus on your most profitable offer. 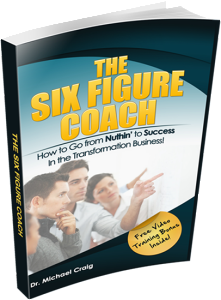 As a life coach you could offer several sessions with a discount. This way you get more profits, a higher level of commitment, and the client will feel good about getting a deal. You may also want to offer specialized support, e.g. weekly follow-up calls or time management training. This could be your main offer, or given as a bonus. Think about what your clients want, what you have to offer, and see where the two line up. This is the basis for creating valuable offers to which people respond. Once you have your sales funnel up and running, you should repeatedly test for weaknesses. By tracking each step individually, you can see what’s working and what’s not. The closer you get a person to the end of the funnel, the more likely your chance of making a sale. If something is blocking people from making a purchase, identify that block and remove it. 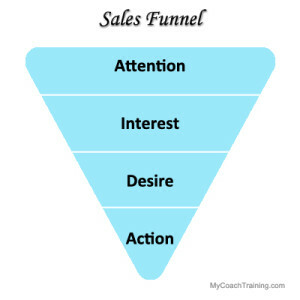 The sales funnel is a great way to explain the sales process, but some feel it is no longer a complete model. Nichole Kelly, author of How to Measure Social Media, suggests that making a sale isn’t a linear process anymore thanks to the age of the Internet. The major problem is distraction. Technology has brought us many distractions, including buzzing cell phones, e-mail alerts, social network updates, and more. This means that your target customers are probably jumping in and out of your sales funnel. In fact, this has become part of the process. We want to cast a wide net using articles, press releases, and social media so that we can tap into our target market all over the Internet. This also means it’s difficult to track the complete sales process. If people aren’t following your steps in order, then you are only able to track the first and last steps that people take. In other words, the middle of your funnel is missing! I am by no means a marketing expert, but as a consumer I have experienced this “neural network” sales process, and prefer it to the traditional funnel. In fact, the moment that I feel I’ve been put into a sales funnel, I usually back off and question the purchase, do more research, or even forego the sale completely. This is especially true if I feel like I’m being scammed. So, if you want to sell more, consider making yours a neural network. Generate interest repeatedly, lead people back to a site with valuable information and motivational material, and watch the sales pour in! 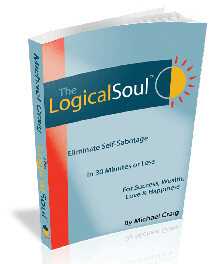 Pick up more free life coaching tips with The Secret to Success for Life Coaches by Dr. Michael Craig.